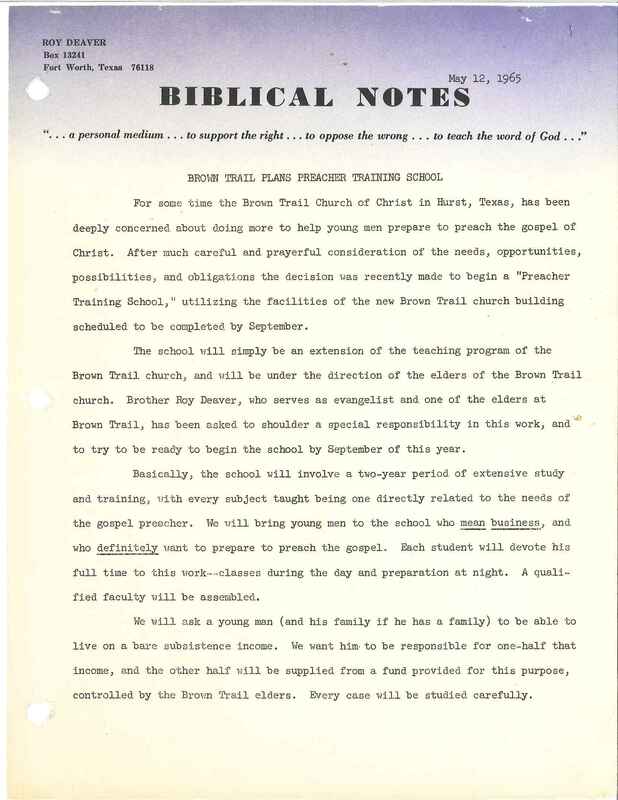 Biblical Notes was launched by Roy C. Deaver in May 1965 as a personal tool to teach the gospel. The monthly journal eventually became a quarterly, edited by Roy’s son, Mac Deaver. In March 2010 the last issue was printed and mailed to subscribers. Mac’s son, Weylan Deaver, then moved Biblical Notes to an online presence, where he serves as site administrator. Our goal is to publish content beneficial to the teaching and defense of the gospel, to the glory of God. Click on the image to see a scan of page 1 of the very first issue.